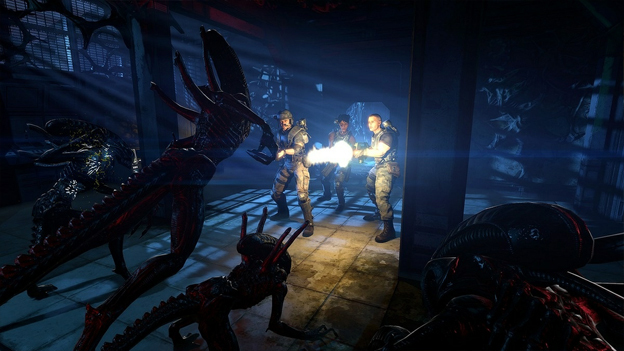 It's been a long road for Aliens: Colonial Marines. The Alien franchise has been in turmoil for years, a previous attempt to create a game by this name fell flat on its face, and developer Gearbox had to delay the release a few times. But at last we're about a month from watching the title hit shelves, and this is one of the year's most promising action games. 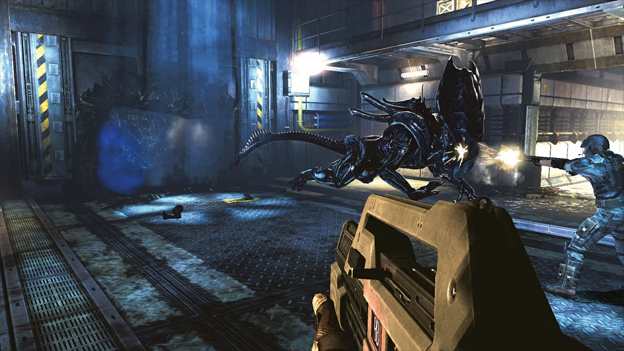 20th Century Fox considers Colonial Marines an official part of the Alien/Aliens canon; the game is a sequel to Aliens, though it takes place following the events of Alien 3. In the story mode, which will last ten hours or so, you play as Cpl. Christopher Winter, part of a group of Marines who have been sent to the Sulaco to investigate the disappearance of Ellen Ripley and her companions. 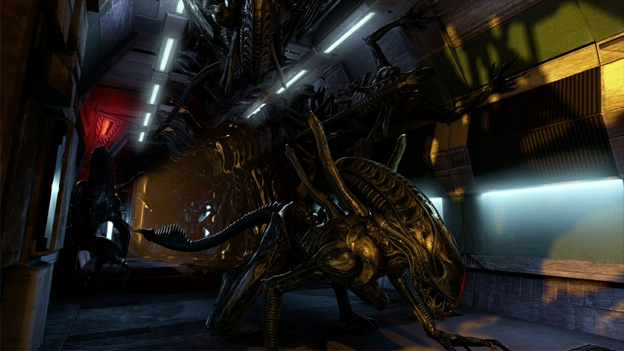 The full story arc is not yet known, but it's a safe bet that the investigators quickly become Xenomorph targets. First-person shooters are not exactly known for their well-thought-out plots, but this promises to be an exception. Not only does this game have the rare honor to be considered canon, but writing duties were handled by a team including Battlestar Galactica scribes Bradley Thompson and David Weddle. Gearbox also met with Ridley Scott to discuss the recent Alien prequel Prometheus, so there may be tie-ins on that front as well. Actors including Michael Biehn (Hicks), Al Matthews (Apone), and Lance Henriksen (Bishop) will reprise their movie roles. 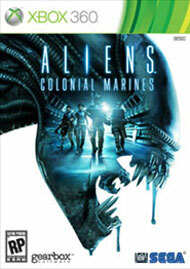 Colonial Marines won't just profit from the rich Alien universe, in other words—the game will become a core part of it. The developers have also gone to great lengths to recreate the world seen in the movies, in particular the Sulaco, Hadley’s Hope, and the LV-426; they even enlisted the help of Syd Mead, who worked on Aliens. The alien species, such as the Queen, facehuggers, runners, and so on, all make an appearance, along with a fast and powerful species known as crushers. And of course, no Aliens game would be complete without an arsenal of flamethrowers, pulse rifles, smart guns, arc welders, etc. A good story and fidelity to the source material are nice, but it will take captivating gameplay to make Colonial Marines worthwhile. This will be a first-person shooter with survival-horror elements, and while the developers have scrapped the idea of using squad commands, the combat will still require solid tactics thanks to complex A.I. Smaller aliens will flank you, facehuggers will attack out of nowhere, and runners will hang back and wait for the perfect moment. You can use a motion detector to find enemies, but only if you have your weapon holstered. The game will also feature an extensive upgrade system. By and large, there will be two types of single-player gameplay. In one, you'll need to make your way from Point A to Point B without getting killed, covering all sorts of terrain from cramped hallways to wide-open spaces. In the other, you'll need to hold down a location while hordes of aliens attack, a situation that requires solid strategy. This means deploying turrets, working together with your teammates, welding doors shut to keep the invaders at bay, and, of course, shooting accurately. Both mission styles should lend themselves to plenty of white-knuckle tension.